There had been some fears for severe weather during this year's Boston Marathon, but it overall cooperated. At the starting line in Hopkinton, the temperature was 55 degrees with light rain and 11 miles-per-hour winds. BOSTON, Mass. 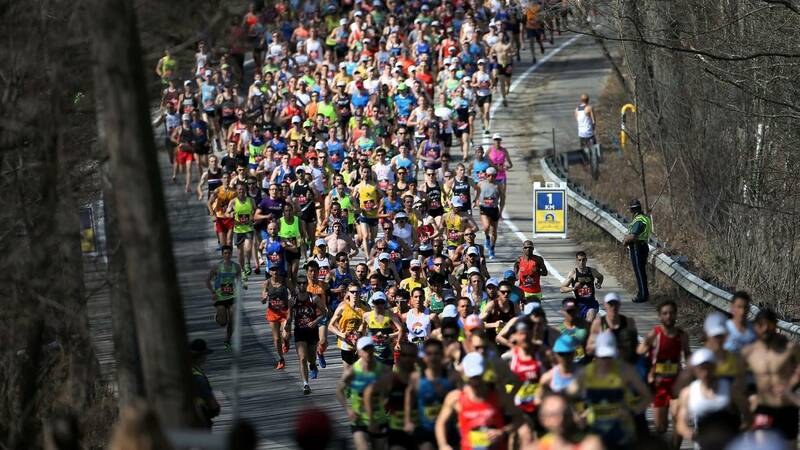 - the 123rd Boston Marathon on Monday not only marks an annual citywide celebration - but also marks the sixth anniversary of the bombings, which occurred at the finish line. Boston Marathon bombing survivor Tom Ralston rang the bell on Monday at the Old South Church in Boston at 2:49 pm - the time of the 1st explosion. The bombs exploded within 8-12 seconds of each other, about 50-100 yards apart. Three people were killed and 200 -- 64 were injured.